If you're a regular listener then you know how I feel about annuities and all the various insurance products being sold to people who more times than not don't need what they're being pitched. But what if you already have one? What should you do? Keep it? Get out and pay the surrender charge? Well, it all depends on your unique situation, and that's what we discussed with Stewart from Louisville as we kicked off the latest show. In hour two I chatted with Steve Vernon, an old pal of mine from my CBS MoneyWatch days. 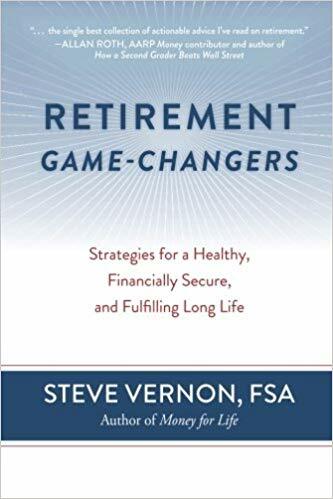 Steve was on to talk about his latest book, Retirement Game-Changers: Strategies for a Healthy, Financially Secure, and Fulfilling Long Life. The 21st century retirement offers a whole new set of challenges, including longer lives than our parents and grandparents, the demise of traditional pension and retiree health plans, periodic stock market crashes that can derail our retirement, and sky-high medical and long-term care costs. Retirement Game-Changers helps you navigate these challenges as you transition from your work life into your retirement years. Retirement Game-Changers might be your road map for planning the most important period of your life. It's time to take charge and make your retirement years count!